(Sheetlet with 8 values (8v M/S): 350 x 4, 450 x 4. 3) Select each item and 'Add to Basket'. 2 Sets from 1998 and 2000 unused with gum never hinged. WERE MARTYRED DURING THE TURKISH MASSACRES - APRIL 24, 1915. ~~ THE FIRST GENOCIDE OF THE 20th CENTURY ~~. The size of this story (picture) album is 15"x10.5" with leather hard cover/ gold stamping. Hardcover. 4to. 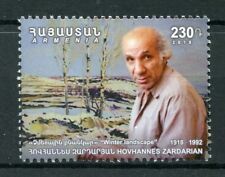 Dr. Zareh Hovanesian M. D. 2000. 357 pgs. Text in English. 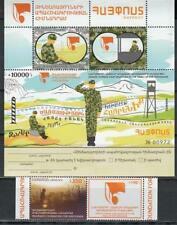 Illustrated with color by stamps of Armenia from years 1909 to 1999. Bound in illustrated paper covered pictoral boards. No ownership marks present. Text is clean and free of marks, binding tight and solid, boards lightly rubbed and worn. 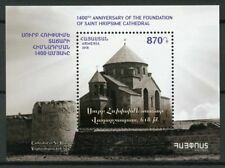 This history stamp book is self-published by the author and he dedicates it to memory of 1,500,000 Armenians of the 1915 Genocide by the Turks. 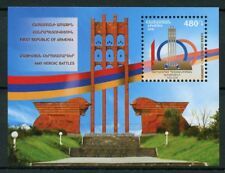 The postage stamps and postal history of Armenia describes the history of postage stamps and postal systems in Armenia. 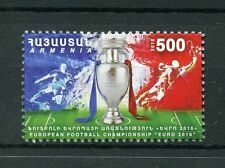 Czarist Russian postmarks and stamps were in used in the territory of Armenia from 1858. The early postmarks were composed of dots in different shapes. Dated postmarks with city names soon followed. Many counterfeit postmarks are known. Scott 538a. 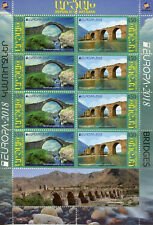 Booklet, MNH. Chess Olympiad, Yerevan. (BI#46/170806). Any item sent outside the. 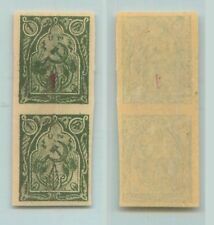 Set of 1 value (1v set): 230. It has 220 pages with hundreds of actual historical genocide pictures with subtitles. ~ ~ ~ April 24, 1915 ~ ~ ~. We will file the claim and normally. The size of this picture album is 15"x10.5" with leather hard cover/gold stamping.